The youth of Moro local government in a write up circulating on the social media has rejects the plans of the Senate President Dr Bukola Saraki to impose Hon. Bolaji Abdullahi on them as their gubernatorial aspirant in this coming 2019 general election. Your Excellency sir, this is the time to voice out our mind ahead of the crucial period of 2019 general election. 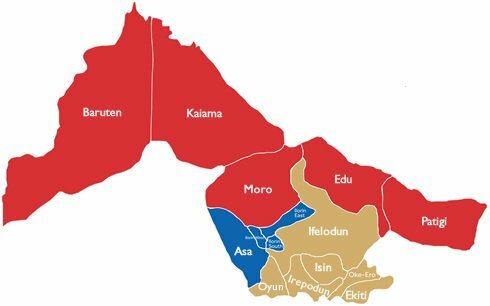 We the concern youths of Moro LGA hereby drawing your attention to likely imposition of a candidate on us which we wouldn't take lately in all ramifications. Imposition of somebody (Hon Bolaji Abdullahi) who isn't the son of the soil (Moro LGA) will create crisis within our party I.e APC and as well as against the will of good people of Moro. Somebody who has never been voting in Moro, who has never been considered for any political appointment as a candidate from Moro e.g as the Hon Commissioner for Education, Hon Minister for Sport etc can't be our aspirant for any political post come 2019 mashallah. because he's the son of the soil who can boast of 100% indigene of Moro unlike Bolaji Abdullahi who doesn't have a particular village to claim in our local government area. Sir, we believed in your leadership style and we are all in support of your decisions. Sai Bukky! Sai Bukola!! Sai Saraki!! !